Lightly dust your scalp with your homemade powder and massage it through with clean fingers. Finish by brushing it off with your natural wild boar brush and style your hair as usual. Classified as a Human irritant - strong evidence (only for products for use around the eyes, on the skin, or may be aerosolized. Rice powder so this is THE natural ingredient in Batiste dry shampoo formula. Recommended restricted in cosmetics - use, concentration, or manufacturing restrictions - Fragrance subject to restrictions: safe only if satisfies manufacturing specifications or purity limits. Numerous scientific studies show that linalool is a substance which can cause allergies, irritations and eczema. 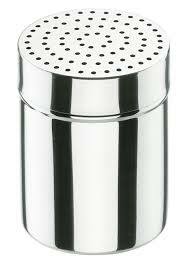 Same as above...it's a synthetized substance that can cause severe allergies. 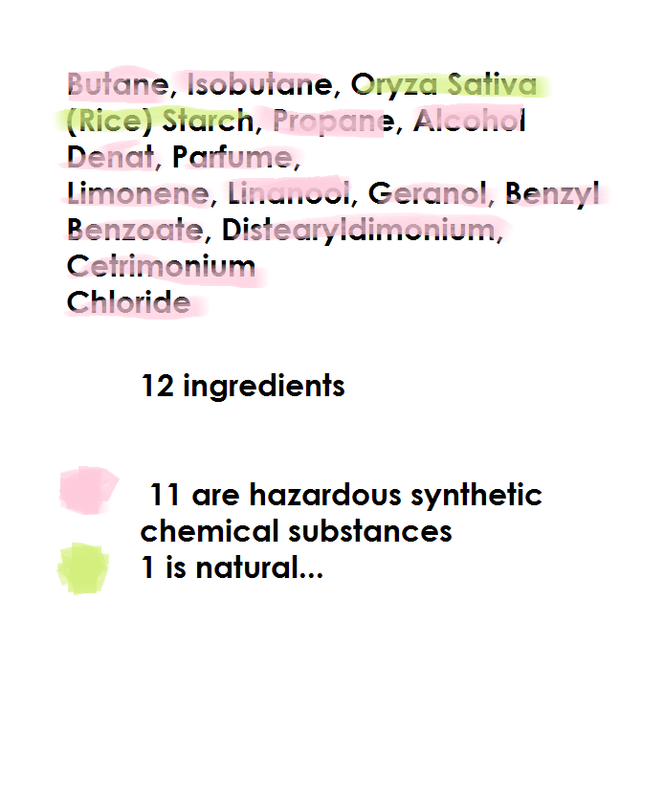 As the 2 ingredients above benzyl benzoate is a synthetized ingredient. Benzyl Benzoate is a natural component of cinnamon essential oil. This chemical is also used to kill head lice and is associated with a variety of adverse effects, including burning and itching of the skin, formation of blisters, crusting or scaling of the skin, sudden loss of consciousness. Is a synthetic substance that causes irritation and allergies, itching and comedogenic. Is a chemical synthetized substance used in cosmetic formulas to help prevent static electricity. So it helps to make hair looks smooth ans soft, however, ewg is classifying the substance as toxic to human skin. 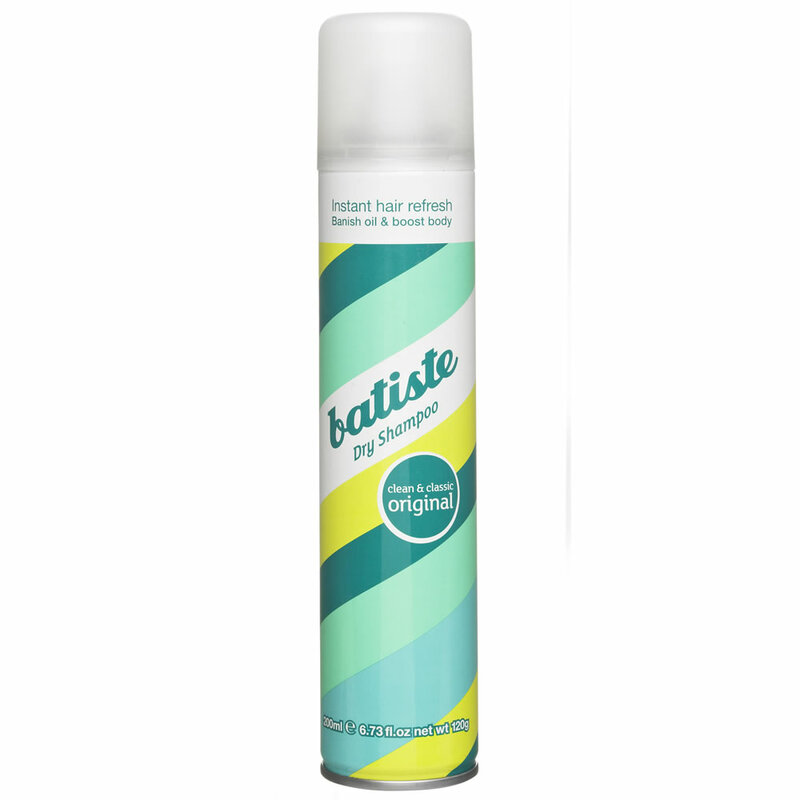 One last thing which is worth mentioning and which some of you may have noticed on bottles of Batiste Dry Shampoo, the little symbol and warning which reads "solvent abuse kill instantly"... Pretty scary stuff. Now we know the intent of Dry Shampoo is not to inhale it every morning to get high but for those of you who often use dry shampoo, you know that when you spray this stuff on your head, there is no way you won't breathe some of this stuff in. Hope you have enjoyed this week's challenge and as always if you have any questions or comments please use the comment section below. Hi there, glad you came by my blog today. Nice to see you again and glad you’re still doing great work on the natural beauty front!! Merry Christmas and Happy New Year! Thank you so much for sharing your wonderful blog, it was such help to my sister! Thank you so so much! I am always so happy if anyone can find healthy advices for skin care in my blog…. by the way I enjoyed reading your sister’s article…..and blog….I am now following too….. I wish I was in the US for the moment to attend to one of your concerts!!! France – I lost my words to you – I am touched by our words, it deeply means a lot to me!